As it explains in our article How to improve your warehouse’s management, if you should automate your warehouse or not is a question you’ll have to ask yourself sooner or later. Whether to automate all or part of your warehouse makes good business sense, and doing it with the right computer tools makes even better sense. What logistics software should you use to improve your productivity? If you don’t know which program to invest in; first, get to know each software’s functionalities to help you make a decision. Logistics software: What is a WMS? A WMS, or warehouse management system, is a logistics software that companies use to manage all the day-to-day tasks that must be done. This tool can be installed in a manual, semi-automatic or fully-automatic warehouse to manage operations, such as stock levels or order fulfillment processes. Organize the tasks of logistics personnel. Have open-ended visibility of tasks done by logistics operators. Reduce paper use and misuse. Analyze results and create reports. Example of warehouse management systems: Easy WMS. 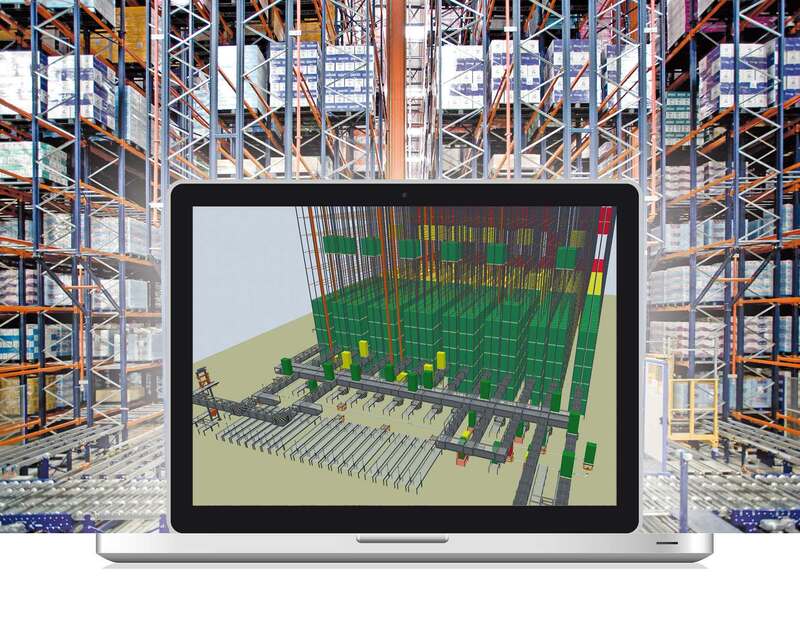 A WCS or a Warehouse Control System is a control software that allows warehouse or distribution centres to control all operations sent by the WMS, i.e., activity flows, and, as such, run devices like conveyors, stacker cranes, etc. The WCS assigns the devices to the different tasks they must carry out, and which they sail through efficiently. Often times, partially or fully-automated warehouses run a WCS software integrated into its WMS. In fact, this control tool complies data and transmits them to the warehouse management software for their analysis and, thus, you can have more transparent, global view of how your organization is run. Run and maintain control over the handling equipment. Program operations sent by the WMS. Enjoy an accurate perspective of your operations through system notifications sent by email, SMS, or other channels, which let you know in real-time what problems have or might come up related to tasks in-progress. A WES, or warehouse Execution System, as its name implies, is a software which acts as a launching pad for in-warehouse tasks to be executed. However, over the last few years, this type of logistics software has evolved and isn’t just a simple execute-and-go program. In fact, it can now manage some functionalities that WMSs and WCSs offer. Execute tasks and control supplies. Enjoy more visibility via real-time notifications about order-orientated processes, stock and automated warehouse solutions. Create reports and analyze them to see if the grass is greener on the other side. As you are aware, the difference between a WMS and WCS is apparent. That said, that isn’t quite the case with a WES. And, as mentioned before, a WES has really become much more than a software used to run in-house operations since it can fulfill certain functionalities normally done by a WMS or a WCS. Remember though, a WES is no substitute for two other software. We can only conclude that each company has its own requirements. As such, it is crucial to assess them so each can know which logistics software will be best to deploy in their particular supply chain.